Celebrate this summer at Los Angeles' newest rooftop pool in the heart of Downtown Los Angeles. The poolside cabanas at JW Marriott Los Angeles seat up to 10 guests and all cabanas come fully furnished with curtains that can be closed for privacy, a selection of complimentary amenities to make your stay comfortable and undivided attention from our Pool Concierge. Poolside spa treatments are available upon request. Cabanas may be reserved daily by hotel guests, To reserve a cabana, please call (213) 765-8600 and ask for the Concierge. From Sade and Katy Perry to X Games 17 and WWE Summer Slam, the line-up at L.A. LIVE is packed this summer season with the hottest not-to-miss concerts and events. Before enjoying the night's festivities, join us in LA Market Restaurant, located at the lobby level of the JW Marriott, and enjoy our new 3-course L.A. LIVE Pre-Show Menu for just $24.00 per person. Menu highlights may include Local Burrata with extra virgin olive oil, grilled farm bread and marinated tomatoes; Bricked Organic Chicken with organic farro, braised beet greens and citrus jus and Cheesecake with crema fresca and berry compote. Available daily from 5:00pm-7:00pm. Reservations strongly encouraged; please call (213) 765-8630. The JW Marriott Los Angeles at L.A. LIVE revs up for X Games, partnering with ESPN to offer an exclusive Weekend Pass for X Games 17 July 28-31, 2011. Featuring athletes from across the globe competing in sports such as skateboarding, motorcross, BMX and rally car racing, X Games 17 will bring the top action sports athletes to Downtown L.A. for one jam-packed weekend of competitions throughout the L.A. LIVE district. The Weekend Pass includes three nights of luxurious accommodations and guaranteed entrance into the most sought-after sporting events. Guests will receive VIP status in the STAPLES Center Lexus Club where they can relax and enjoy complimentary refreshments and an intimate breakfast with an athlete. 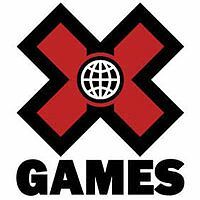 The X Games 17 JW Marriott Weekend Pass is available for $3,000.00, based on double occupancy. Hotel stay is for three nights for choice of arrival on Thursday, July 28 or Friday, July 29. 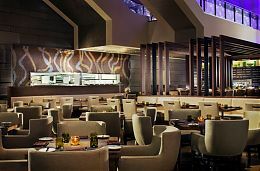 To book the X Games 17 JW Marriott Weekend Pass, please visit www.lalivemarriott.com and enter code L9Z. 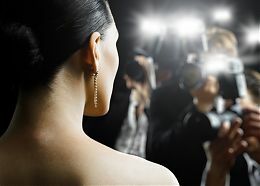 Want to walk the red carpet and attend the American Music Awards on November 20, 2011? Book your meeting or convention the week of November 6-11, 2011 with 1000+ cumulative room nights and 2 tickets to the show are yours! To book, please call (213) 865-8620 or email peter.psihas@marriott.com.